Recently expanded with design by Martin Pilchner, our live floor now covers 1200 square feet – enough to handle choirs and orchestral/band ensembles up to 20-25 pieces. 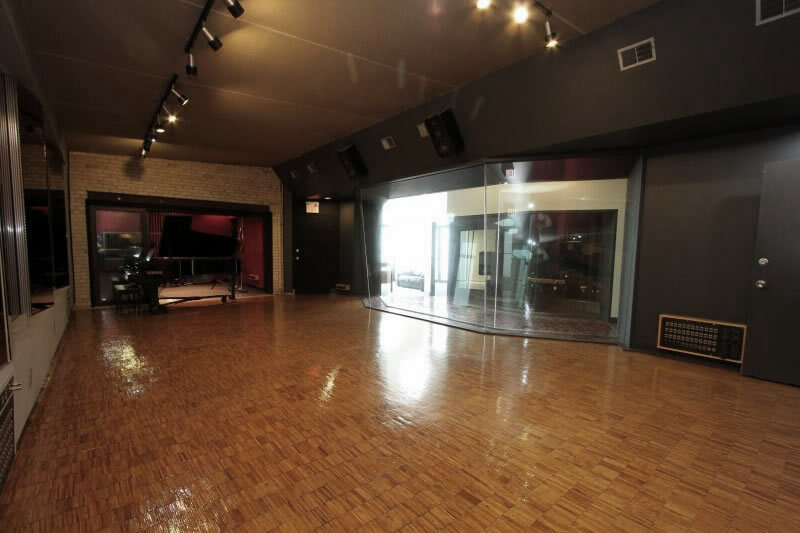 Quality recording rooms of this size are becoming more and more scarce all the time. Our 250 sq. 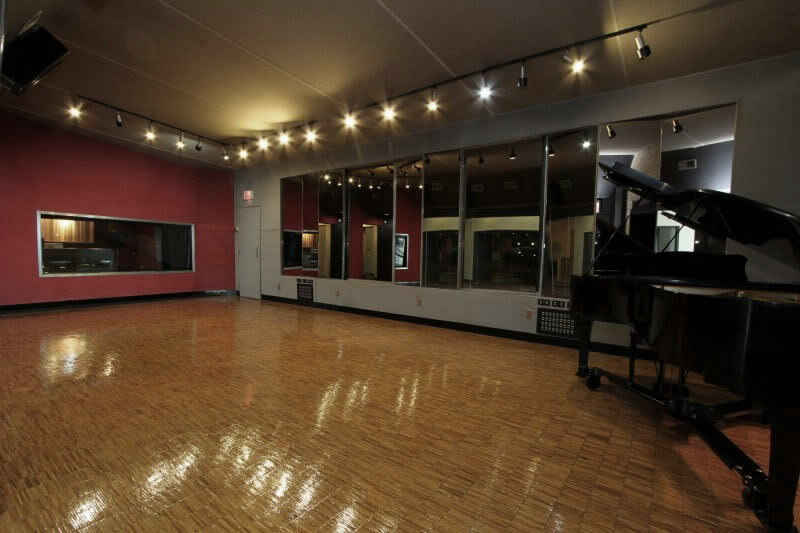 ft. isolation-booth has been incorporated into the main studio floor, with double-tracked sliding glass doors covering an opening that is 12 feet wide and 7 feet in height. 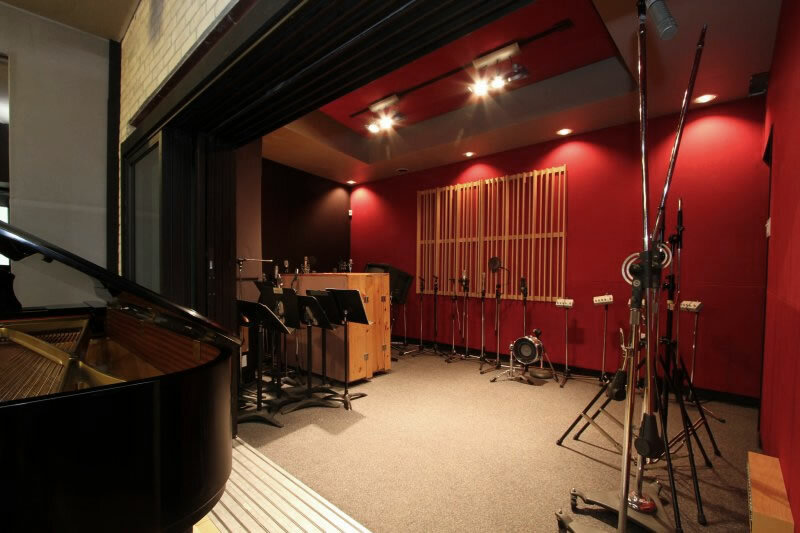 A large glass bay window gives a full view of Control Room A, and additional acoustic spaces are available as needed for any situation (e.g. vocals, acoustic guitar, amps, etc) . Wood floors and glass surfaces keep the room from being too ‘dead’ sounding. Adjustable wall panels allow the degree of ‘liveness’ in the room to be controlled, depending on the amount of ambience desired. 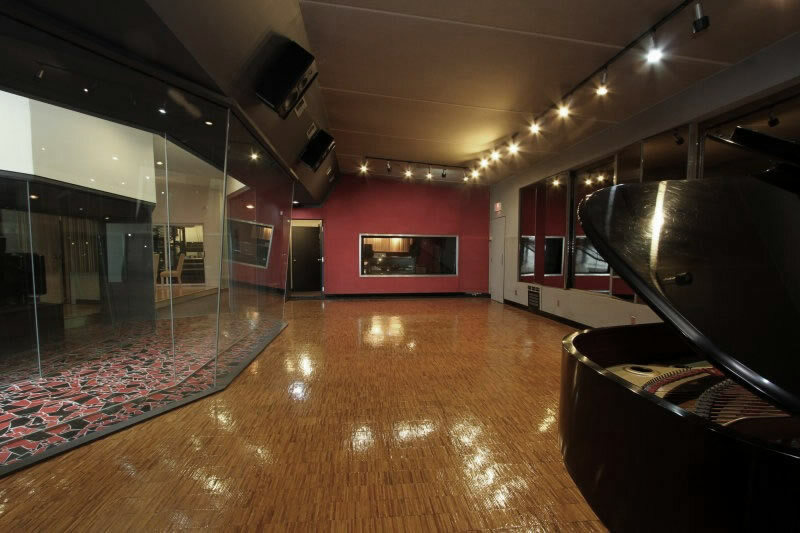 The live floor is accessible to both Control Room A and Control Room B, and provides maximum sound isolation with its floating walls and floor. 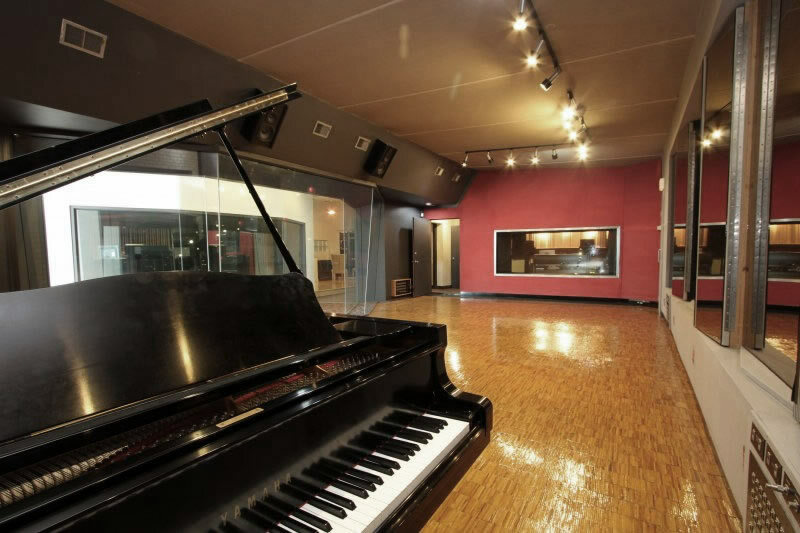 From classical to jazz, rock, and blues, pianists of any style choose Cherry Beach Sound for the tone of our piano. We have a well maintained, humidity-stabilized 7′ 4″ Yamaha C7 Concert Series grand piano. John Arpin, the world famous pianist, hand selected this piano for us based on its exquisite sonic quality. Tuning and maintenance is taken care of by the expert Michael J. Ierullo, a well respected technician in piano circles. Please contact us in advance to book him for your session.